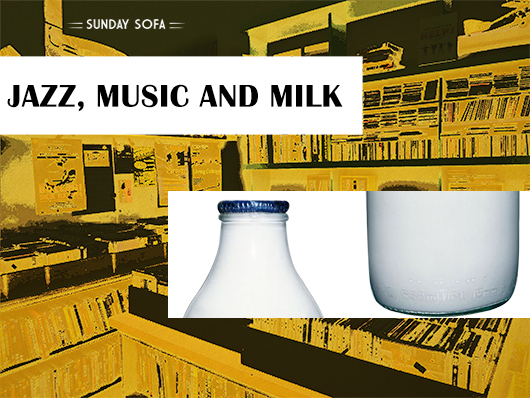 Sunday Sofa: a blog of unique places: JAZZ IN MILK BOXES! I love those rare places that make you suddenly want to engage to things you never considered before. Twisted is just like that. As soon as you cross the doorstep by chance, to buy a present or out of mere curiosity, you feel the abrupt desire to better understand jazz. 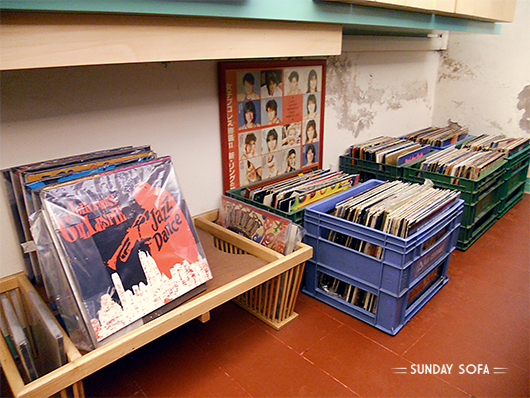 This shop is bulging with discs in all sides, even on the floor, where vinyls are kept in Mukki milk boxes. And if you don’t find that particular edition or version you are looking for (then you’re beginning to understand jazz! ), at Twisted you can place ad hoc orders and your requests will be piled behind the counter with a coloured post it note with your name on it, the name of someone who still appreciates the value and the pleasure of owning an original CD. Sunday Sofa comes from a collection of business cards I gathered touring around. I couldn’t help but entering in places that for some reason awoke my curiosity and asking to learn their history. These places are unique and you can find certain things and atmospheres only there. This is therefore a collection of special places, of life stories and anecdotes. Here you will find inputs for your travels or just to poke around. Just remember to mention your name to be shown. 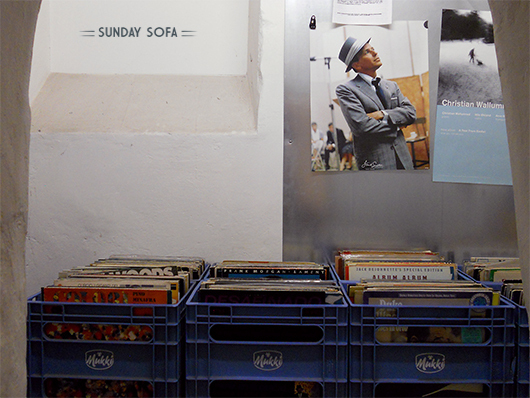 Note: only contents in line with the style of Sunday Sofa will be published. Click HERE to visit my favourite blogs. 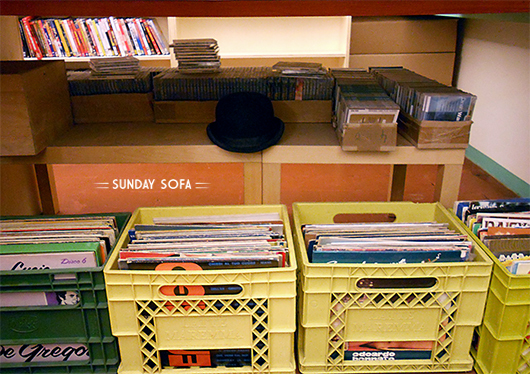 © Sunday Sofa. Graphics by NoBoy. Powered by Blogger.